Arsenal host West Ham tonight with the Gunners desperately scrapping to finish in the top four. Historically, securing Champions League qualification has been bread and butter for Arsene Wenger – but this season has seen a change in the tides. Arsenal trail fourth-place Manchester City by seven points with a game in hand. If Wenger could have chosen any team in the division to face tonight, West Ham may well be close to the top of his list. The Hammers are without a win in six in the Premier League and have lost each of their last four games. The pressure is piling on Slaven Bilic, with the East London side sitting precariously just six points clear of the relegation zone. They face a weakened Arsenal side tonight, however, with Petr Cech and David Ospina both missing out through injury. 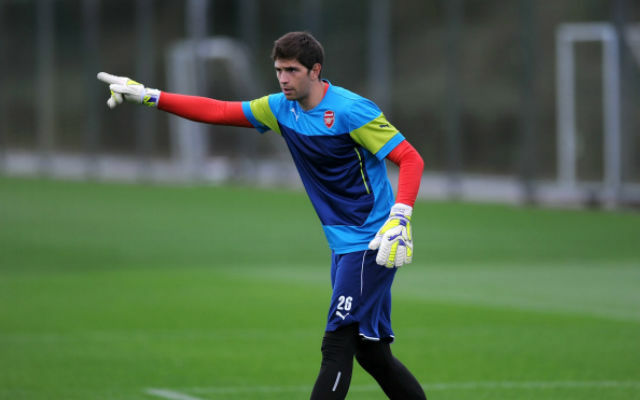 Emiliano Martinez starts between the sticks in his place. Laurent Koscielny is also sidelined and is replaced by Gabriel.